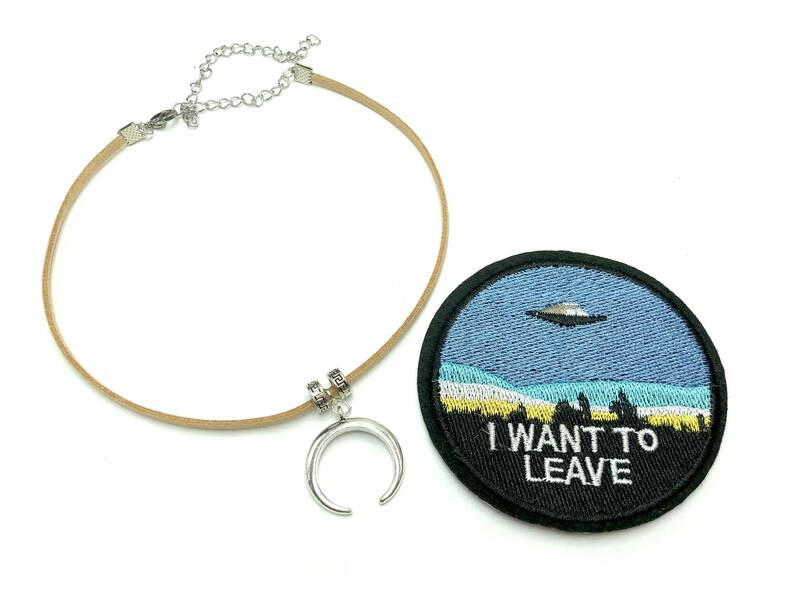 Each set includes one faux suede crescent moon horn choker and one "I want to leave" iron on patch. Lead and nickel free. Stainless steel extender chain.